With exams round the corner for both high school pupils and university students, the next few months can be a stressful time. 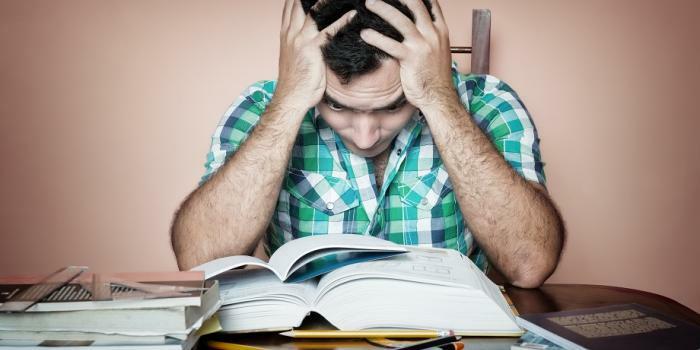 As you prepare to hit the books and put in the hours, stress and anxiety over exams can take over. You might worry about remembering everything or even feel pressure from parents and teachers to do well. All of these feelings are natural and you can be sure that your friends are all feeling the same. Under stress, some young people occasionally misuse prescription drugs that have stimulating properties like Ritalin (methylphenidate). It’s a drug that doctors prescribe for people with attention deficit hyperactivity disorder (ADHD) but it’s sometimes taken with the hope it will help studying for exams. People who use Ritalin as a study aid say that it can make them feel like they can concentrate better and they can get through work quickly. However, many people find that this is not the case and using it can cause them some unpleasant side effects in the longer term. Drugs like Ritalin often give you increased feelings of confidence, but with that comes a false sense of how good your work actually is. “My final exams were approaching and I was finding it hard to concentrate on my studying. I had read online that there were things you could take which helped you focus. I came across a drug called Ritalin. My friend was prescribed Ritalin for ADHD and after a bit of persuasion agreed to give some of it to me. “I decided to road test it when studying for my coming English exam one day. It made me feel good; I finally had a clear head. I could understand what I was reading and taking notes was much easier. I felt confident that I was going to do well in the exam, even though normally I find studying quite hard. “However, when I went to bed that night my body was tired, but my mind was racing and I found it impossible to get to sleep. When I woke in the morning, I looked over my notes. I was disappointed to see that some of my notes didn’t make sense. However, I remembered how good I’d felt so decided that I’d give the Ritalin a try for the English exam. “On the day of my exam, I was really nervous. I took the Ritalin before leaving for school. I started the exam and it felt like I was flying through the questions and by the halfway point I’d done most of the exam. “I had lots of time to check my answers, but the Ritalin made me so confident and I felt so sure it had gone well, I thought I didn’t need to. I thought I’d nailed it and was going to get a good grade, which made me feel brilliant. “As the other exams went on, I started to run out of Ritalin and my friend wouldn’t give me any more. I felt rough and had headaches. I was irritable, anxious and also exhausted. “I finished the rest of my exams, but I didn’t feel they went as well as when I was on Ritalin, but I got through them. But it’s not just a case of Ritalin affecting your work, it can also come with other serious consequences. Ritalin is a Class B illegal drug when it’s not prescribed so possessing it without a prescription from your Doctor is illegal with a maximum sentence of 5 years in prison and/or an unlimited fine. If you do have a prescription and you give it away to someone else it’s considered the same as supplying the drug and is also illegal meaning you could face a maximum penalty of 14 years in prison and/or an unlimited fine. Try talking to your teacher, lecturer, family or friends about how you are feeling. It helps. Make sure you’re getting a good balance between studying and time off to relax. Take your mind off studying and take part in an activity you enjoy like playing sport, socialising with friends or reading a book. Eat and sleep well; when we’re stressed, we tend to not look after ourselves. Eating well helps concentration; avoid too much sugary food and caffeine. Relaxation and breathing exercises can also help to relieve stress. You can get free and confidential support by calling support organisations like Childline: 0800 1111 or Breathing Space: 0800 83 85 87. There are also online forums such as thestudentroom.co.uk where you can find tips and strategies from other students. To make an informed decision about drugs, including prescriptions, without feeling pressured, read through the rest of the site, or call the Know the Score helpline on 0800 587 587 9 for free confidential advice and information. *(name has been changed to protect the person’s identity).